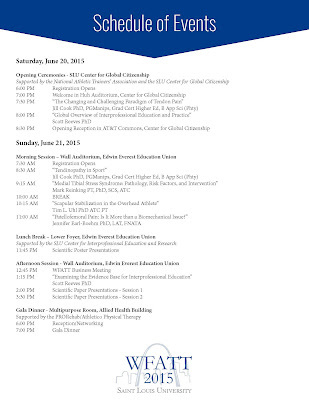 Saint Louis University (SLU) and the SLU Edward and Margaret Doisy College of Health Sciences (DCHS) Department of Physical Therapy and Athletic Training is proud to host the 2015 World Congress of the World Federation of Athletic Training and Therapy (WFATT) on June 20-22, 2015, on the SLU campus. 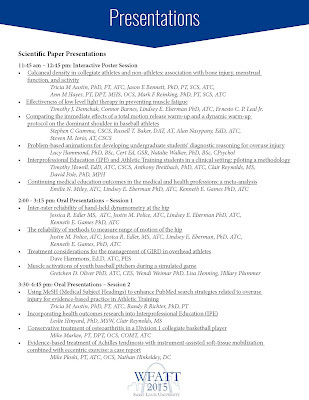 The theme of the 2015 World Congress is "Overuse Injury in Sport: An Interprofessional Approach" with delegates representing the United States and 12 other countries from around the world. 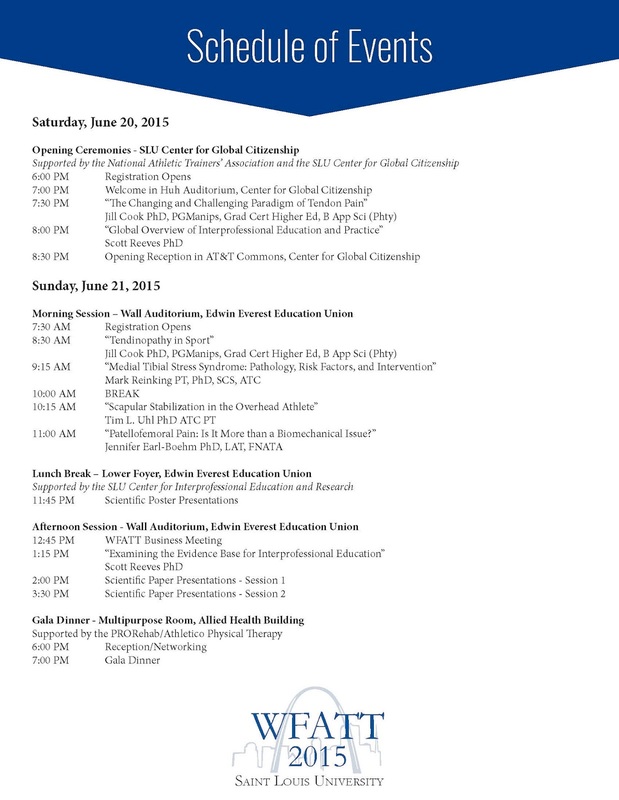 The Opening Ceremonies take place in the SLU Center for Global Citizenship. 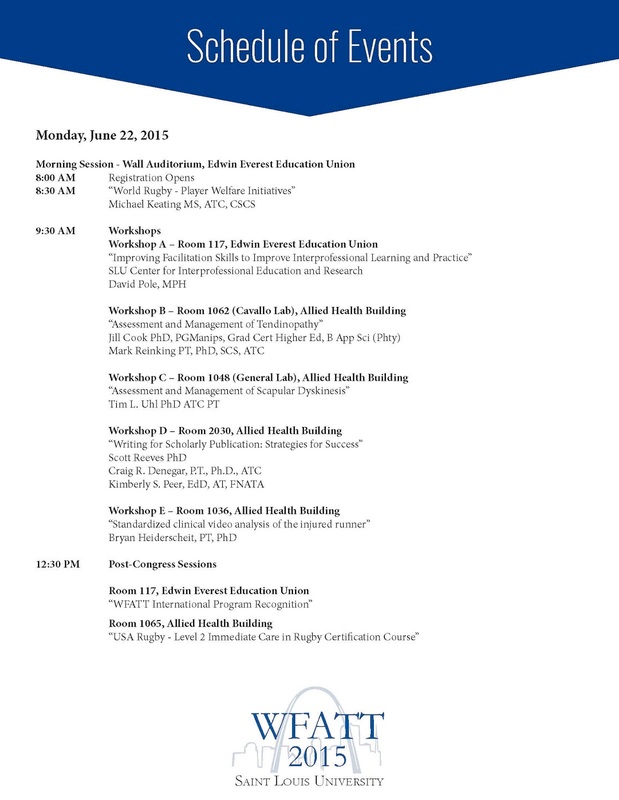 The 2015 WFATT World Congress will include presentations, poster sessions and workshops hosted by an impressive lineup of speakers; opening ceremonies that will include live music and international cuisine; and a gala dinner for World Congress attendees. 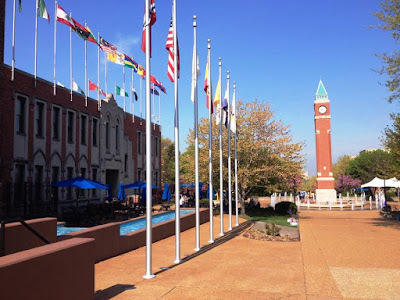 Educational sessions take place on the SLU Medical Center Campus. While attending the 2015 WFATT World Congress, guests are encouraged to share their experience via social media. 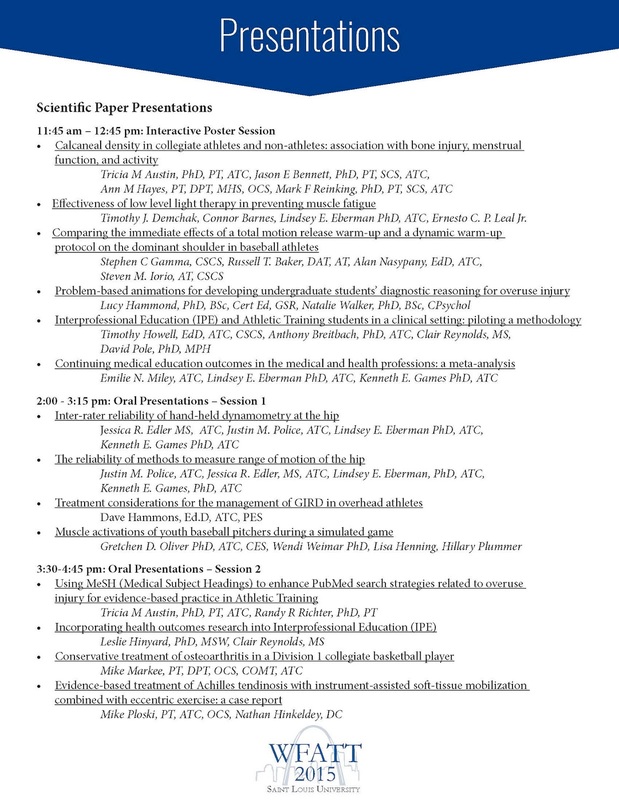 Attendees can use the hashtag #WFATT2015 and follow @WFATT, @SLUDCHS, @SLU_AT and @SLU_PT. 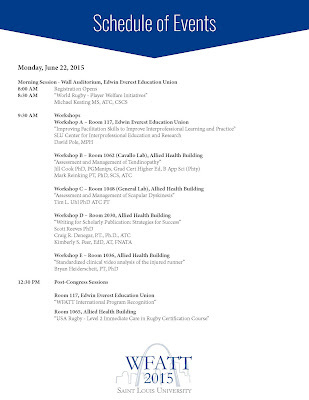 It is not too late to register for the 2015 WFATT World Congress with on-site registration available at the Opening Ceremonies on Saturday, June 20. The Hotel Ignacio serves as the host hotel for the 2015 WFATT World Congress. The WFATT is a coalition of health care professionals in the fields of sport, exercise, and injury/illness prevention and treatment. The primary objective of the WFATT is to promote the highest quality of health care and functional activity through the collaborative efforts of its members. 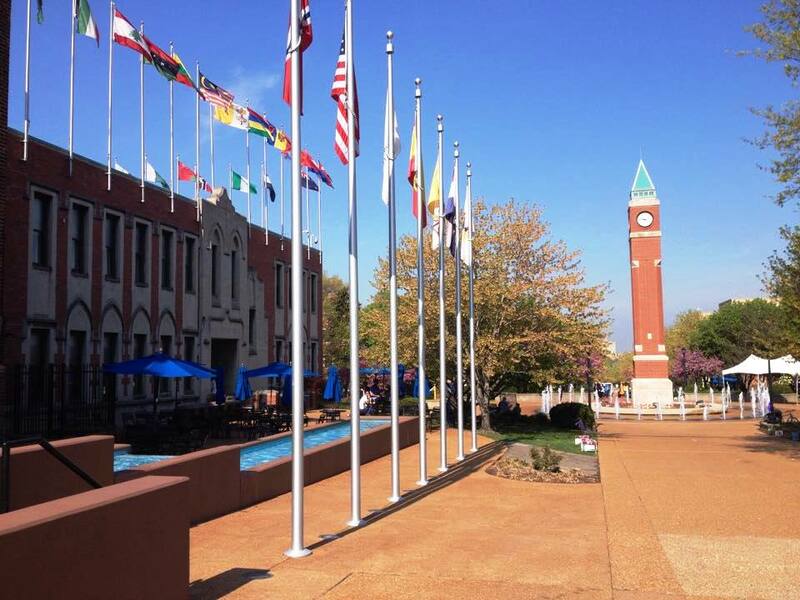 For more information about the 2015 WFATT World Congress, visit the 2015 World Congress website or email wfatt2015@slu.edu.